F.P.C. Industries provides a variety of products and services to the residents and businesses of Saskatchewan. We are your chain link specialists, and we are here to help with any of your fencing projects. Contact us anytime by email for a quote. At F.P.C. Industries, we have been installing and selling all types of chain link fencing in Saskatchewan for more than 35 years. During that time, we have learned that there is no substitute quality workmanship. 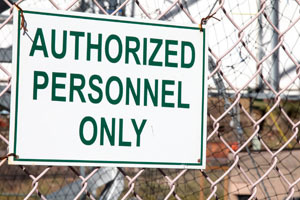 Put the experts to work for you on a chain link fence by calling or emailing F.P.C. Industries. There is no better way to add beauty to your boundaries than with an ornamental iron fence. At F.P.C. 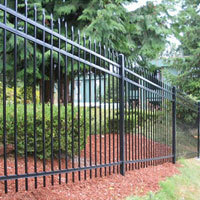 Industries, we have the knowhow and tools to handle install and repair for even the largest, most complex iron fences. 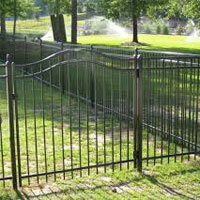 Let the pros at F.P.C Industries take care of all your iron fence needs. There are many ways to make your property more appealing to customers and clients. A PVC fence can do just that. F.P.C. Industries can help with PVC fences. With options like vinyl, or wood and whatever paint you need, we can match any aesthetic. Call or email today about getting the perfect picket fence for your business. Is your fence in need of repair? Look no further than F.P.C. Industries. We carry a full complement of tools and parts to keep your fences in good repair. Let the experts in our store help you find exactly what you need for your job. They can also help you with the repairs or install a brand new fence for you. Stop by today. Don’t trust anyone besides our experienced team of specialists that have been installing fences in Saskatchewan for more than 35 years. We are happy to install in rural and urban areas. Our experience and standard of excellence will ensure you have a long lasting, beautiful fence on your property. Call or email anytime to talk about your next fence with the experts at F.P.C. Industries. Manage any dogs on your property without doing any long term damage to your landscape with a dog run or kennel from F.P.C. Industries. Our dog runs don’t need posts, so they won’t damage your land. We can assemble them in any size, so you are equipped for any situation. Call today for help managing any size, breed or number of dog on your property. At F.P.C. 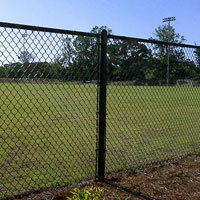 Industries, we sell, repair, and install chain link fences that are specifically designed for ball diamonds. We can build them to your specifications, so that you can be sure they will align with the requirements of your team or league. Call today to meet with a pro to get started on your ball diamond.